Soldier. War hero. Traitor. Captain Rick Flag was one of Americas greatest military commanders before he was banished to a secret military prison. 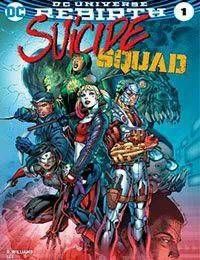 But after years of isolation, Flags life changes forever when a woman called Amanda Waller offers him redemption in exchange for taking on the single most dangerous job in the entire DC Universe: keeping the Suicide Squad alive!